Lets say your Sitecore solution needs to have some API services. The obvious thing is to implement them using .net Web API. Sometimes the understanding of various methods of an API can be a challenge for a developer when building a consuming app. Lets say your Sitecore solution needs to have some API services. The obvious thing is to implement them using .net Web API. Sometimes the understanding of various methods of an API can be a challenge for a developer when building a consuming app. Swagger is a machine-readable representation of a RESTful API that enables support for interactive documentation, client SDK generation, and discoverability. 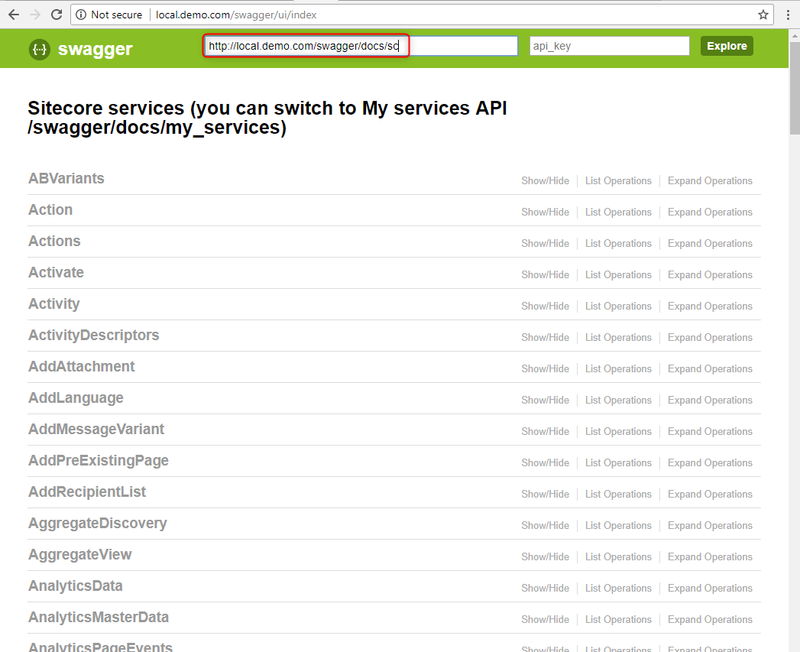 Generating good documentation and help pages for your Web API, using Swagger is as easy as adding a NuGet package. The default nuget package will create a startup config at /App_Start/SwaggerConfig.cs. By default it uses WebActivator extensions to bind it to the application start so it executes the configuration when your web application is being initialized. Now it looks up and running, and I am even able to find my service method. However, Sitecore has a lot of Web API services that it uses itself and its quite hard to find my own service among others. 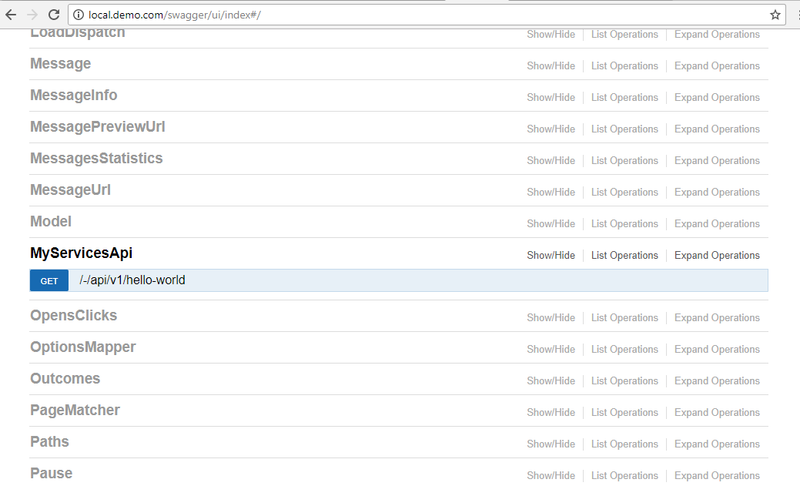 It would be nice to separate Sitecore native Web API controllers from mine. It supports API versioning, and from my perspective, this is one of ways how we can separate that. We can add a method to SwaggerConfig which will declare versions of API. 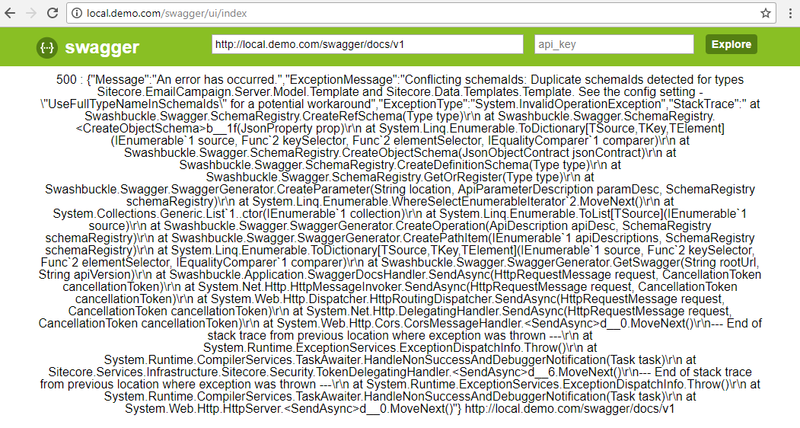 Now we have successfully installed Swagger to a Sitecore solution. However, as I mentioned before, it uses WebActivator extensions, which is more like anti-pattern for web solutions and I would better get rid of it in order to keep helix principles in place. 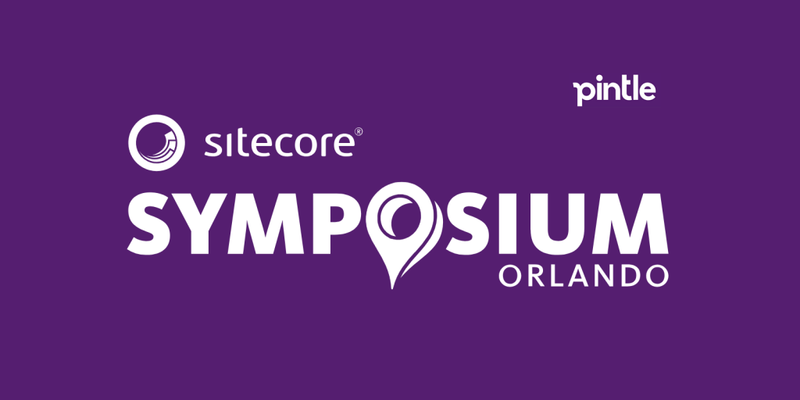 Instead, we can make it more Sitecore native way – run the config on Sitecore initialize pipeline. I have been using Swagger with Sitecore 8.x and Sitecore 9 versions, it all works! See our GitHub repo here.